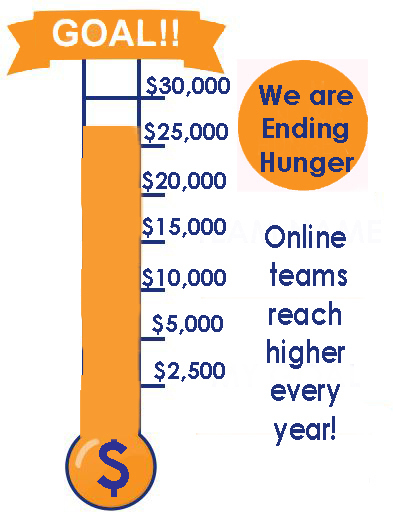 We stepped up to the start line one week ago to walk together to end hunger for the 37th time! 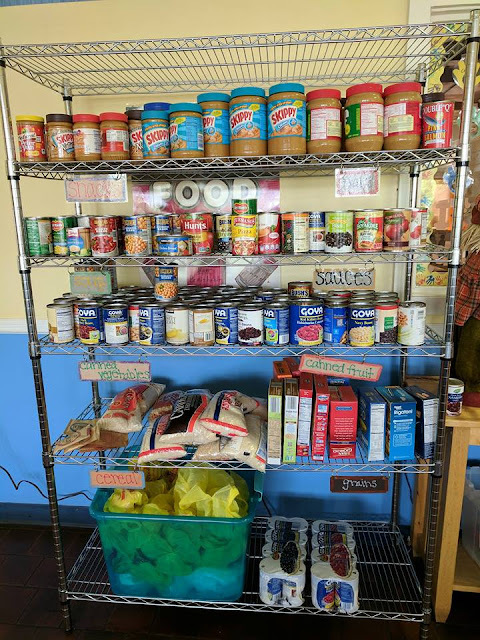 Our committee food collection chairs, Vickie Smith and Joe Lotito, report that we met our 14,000 lb goal and tons of peanut butter, rice, and beans has been already been distributed helping to stock shelves at two dozen pantries in Monmouth County. Financial donations from a combination of sources add up to the total funds raised to support local and global hunger fighting programs. Our sponsors provide a initial foundation for our fundraising by sponsoring our t-shirts, street signs, and water stops. Sponsors also make in kind donations like music, apples, ice cream, safety and communications, character entertainment and even massages. 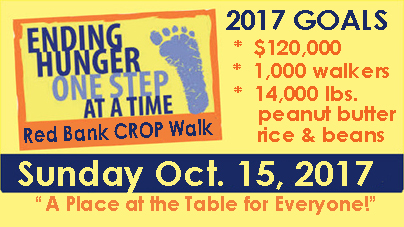 CROP Walk supporters donate on line or the day of the walk using sponsor envelopes. Please remember to collect all pledged donations and return envelopes. We've made lots of progress with fundraising and donations are open through December 31st on line and by mail. ONLINE DONATIONS individual donors and teams have raised over $27,000 and it looks like they're heading to break last years record of $30,000. The website donor system seems easier this year and if you haven't tried it yet give it a try!